Last week marked another successful bi-annual Surf Expo in Orlando, Florida. Members of the Board Retailers Association and over 2,500 booths of apparel and goods came together for three full days of exciting events! Featuring demos, fashion shows, education seminars, award ceremonies, and more, Surf Expo is one of the largest trade shows in the nation. BRA continues to attend this well-organized event, walking away more impressed each time. 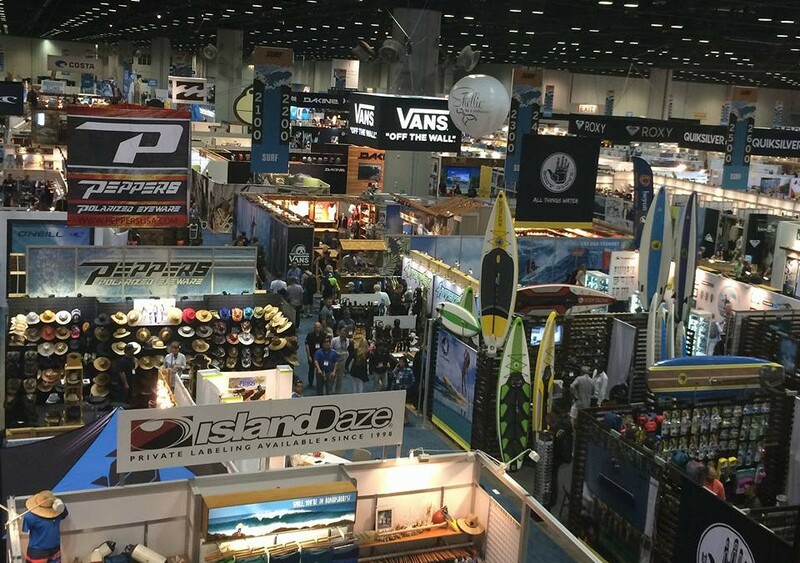 Although there are so many aspects to rave about on this tradeshow, here are a few qualities that really stood out to us at Surf Expo this year. Upon entering one of the largest convention centers in America, it could be easy to become overwhelmed. However, the smooth layout of this trade show was very well-organized and easy to navigate. The areas of the convention center were organized by the category of products, such as surf, wind, boating, boutiques, SUP, skate, and beyond. As you went down the escalator to enter into the abyss of exhibitors, you could clearly see the structure of the setup from above. All 9,500+ storefronts had their own booth for showcasing their products, and the fluid flow of the floor plan was ideal. The best and the brightest in the industry attend Surf Expo each year, bringing vast amounts of knowledge to the attendees. There were a variety of educational and entertaining seminars, including seminars on working with Amazon and social media marketing and SEO by BRA President, Mike Duncan. In addition, seminar topics ranged from e-commerce to paddle boarding to surfboards, etc. It’s safe to say that attendees walked away from Surf Expo with helpful tips and tools for their retail business. This year included six fashion shows to choose from, each modeling clothing and accessories for board sports and swim. The top industry brands revealed the latest style trends here first as models strutted down the runway to upbeat jams! All cravings were satisfied at Surf Expo with plenty of delicious food and beverage options. With a large food court and vendors spread throughout the venue, everyone stayed happy and healthy! “All work and no play,” said no one ever at Surf Expo. This event is jam-packed with live music, happy hours, and brand-sponsored parties to keep you entertained! One of our favorite events this year was the Surf Expo Happy Hour, present by Sanuk. Featuring live music by SWIMM, this party distributed fun free products and beverages to its guests. If you were unable to attend Surf Expo last week, we highly recommend registering for the next event in January of 2017. We hope to see you at Surf Expo 2017!